The first trailer for this long-awaited (then forgotten, then “wait, they’re still making that?”) sequel raised my interest from “blah” to “mildly curious.” It looks like Roland Emmerich is back up to his old tricks, staging sequences of massive destruction, cross-cutting between a diverse (yet equally bland) ensemble cast as Jeff Goldblum mutters into the middle distance. I have no reason to expect it to be good, but maybe it will be fun? My immediate reaction to the third in Bryan Singer’s “Baby X-Men” trilogy was… a shrug. It’s just hard to really feel invested, and I’m speaking as someone who definitely enjoyed most of Days of Future Past. But this one has Oscar Isaac, and that’s a positive if there ever was one. Another mystery to be solved: can Sansa Stark really act? Okay, now we’re getting into movies I’m actually rooting for. 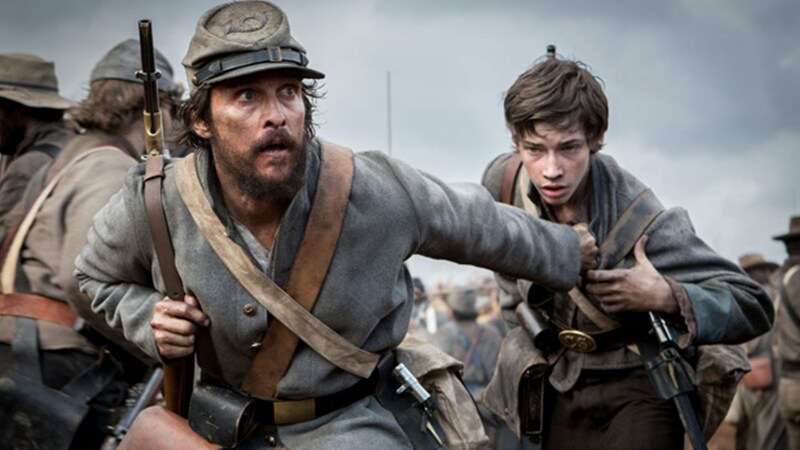 Here’s a Civil War drama starring Matthew McConaughey (as a dad, I’m sure) and Keri Russell, directed by Gary Ross. Precious little else is known about it, however. Wiig, McKinnon, McCarthy, Jones. 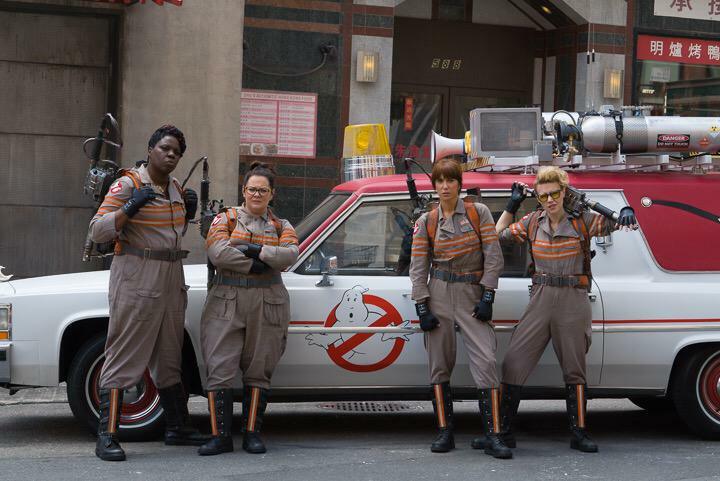 It’s hard to hand-select a better cast than Paul Feig has for this all-girl reboot (and that includes Chris Hemsworth as their flouncy assistant); expect appearances from Murray, Aykroyd, et al, too. The first of two warring Jungle Book films; this is the one with Jon Favreau in the director’s chair and the marketing heft of Disney behind it. It’s also got a pretty good cast, especially with Idris Elba as Shere Khan and Scarlett Johannson as Kaa — but it also has Bill Murray as Baloo and, inexplicably, Christopher Walken as King Louie? And it’s a musical, I think? Long considered the biggest cult fave in the Marvel stable, the “merc with the mouth” comes to the big screen in February as star Ryan Reynolds and director Tim Miller promise to high heaven they won’t screw it up. Expect gobs of hyper-violence and meta-humor in Fox’s R-rated release. Plot details are scarce, but we do know it’s a supernatural mystery of some kind, and it’s the most expensive film production in Chinese history, and Matt Damon is wearing a ponytail in it. I couldn’t even find any released stills. Director Yimou Zhang also wrangled Willem Dafoe and Pedro Pascal for this…whatever it is. Hopefully it’s cool? This was in last year’s preview, but got pushed off to some time in 2016 (it wasn’t the only one). 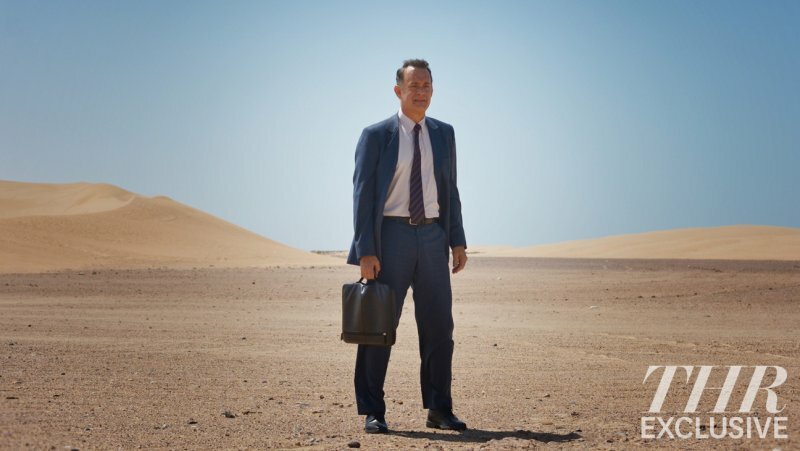 I’m still very interested in it, as I dug the Dave Eggers novel it’s based on and will still watch Tom Hanks in pretty much anything, including his upcoming Capt. Sully biopic that didn’t make this list. Hologram casts him as an American businessman hoping to make a career-saving deal in Saudi Arabia. Tom Tykwer directs. Honestly, it had me at “Tina Fey in a script from Robert Carlock,” and this trailer seems a nice blend of goofy and thoughtful. Based on journalist Kim Barker’s book The Taliban Shuffle: Strange Days in Afghanistan and Pakistan. Also: Martin Freeman! I have to remind myself that Pixar movies, despite their usual greatness, tend to make terrible trailers. While I’m not jumping out of my seat here, bringing director Andrew Stanton back into the fold for a sequel about Finding Nemo‘s best character is a good idea, and I hope this one lives up to its very high expectations. Speaking of terrible trailers…ho boy. It’s telling that both director Justin Lin and co-writer Simon Pegg went into damage control mode almost immediately after this dropped, promising that this Trek was not going to be a total betrayal of the franchise’s more cerebral origins. I don’t know about Lin, who seems to be making the exact kind of movie you hire Justin Lin to make, but I want to trust Pegg. Jury’s out until we get a new trailer, at least. No title, no real images (save this set photo, which everyone has seen by now), but it’s got Paul Greengrass directing again, so I’m good. Alicia Vikander plays a love interest (probably), and Tommy Lee Jones plays some CIA guy out to get Bourne (probably). The word on this one is apparently “Cybersecurity,” but if it can hit the bar set by Supremacy and Ultimatum, it could be the best pure action movie of the year. 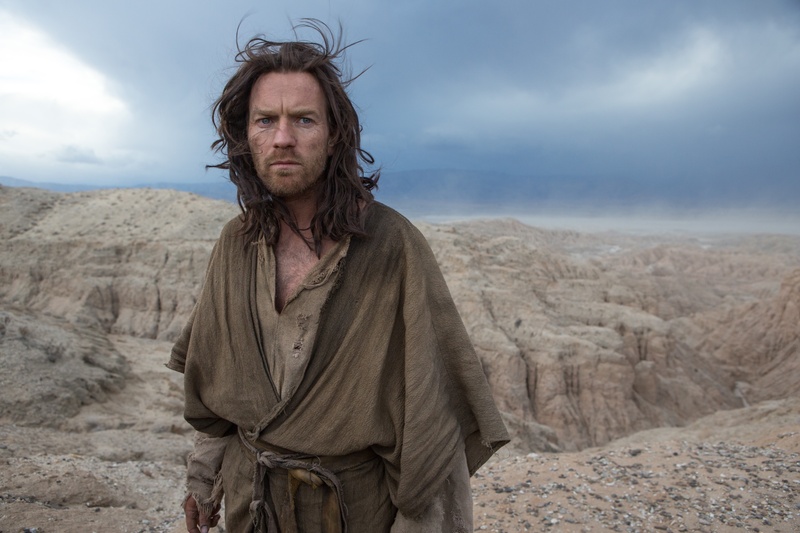 Ewan McGregor becomes the latest incarnation of Jesus in this apocryphal story of his time in the wilderness; Cirian Hinds plays the head of a family who encounters him. It received some good notices out of last year’s Sundance Festival, particularly for two-time Oscar winner Chivo Lubezki’s stunning cinematography. I’ve been waiting on this one for a while. 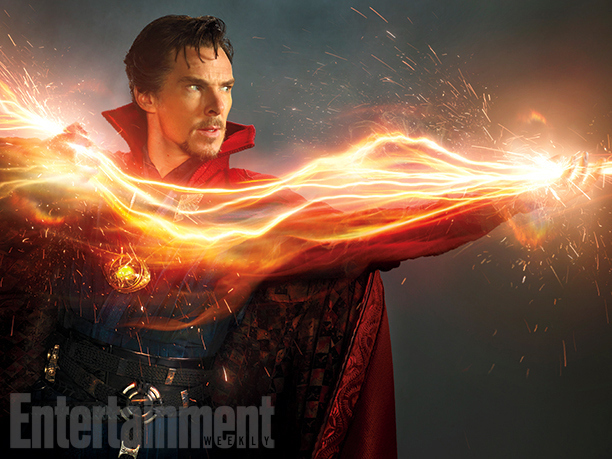 From the Son of Man to the Ancient One — Benedict Cumberbatch makes his superhero debut as Doctor Strange, a surgeon who, after an accident, gets taken under the wing of a mysterious sorcerer. It’s sure to follow Guardians of the Galaxy as Marvel’s trippiest, most cosmic adventure yet. 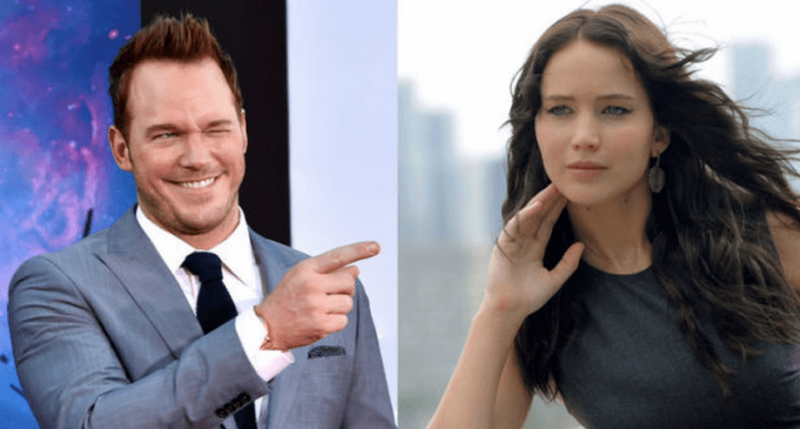 All hail the return of Shane Black! The director of the fabulous, underseen Kiss Kiss, Bang Bang (as well as Iron Man 3) returns to his beloved L.A. Crime subgenre, and Russell Crowe and Ryan Gosling are along for the ride. It’s got a killer 70s swing, zippy dialogue, and plenty of blood splatter. Also, I didn’t laugh harder at anything in the entirety of 2015 than at the toilet stall gag at the one-minute mark of this trailer. 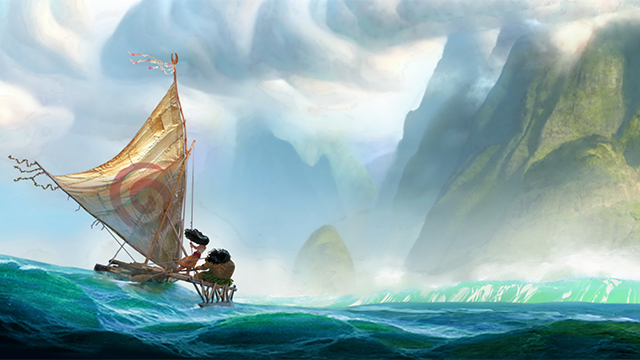 Disney’s newest heroine is a young Polynesian navigator, sailing for a magical island with the help of a demi-god named Maui (Dwayne Johnson). It looks gorgeous, and it’s also the first project from co-directors Ron Clements and John Musker since 2009’s The Princess and the Frog. If THAT wasn’t enough, Lin-Manuel Miranda (the genius writer and star of Broadway’s Hamilton, AS IF YOU DID NOT KNOW) is doing the songs. I’m all the way in on this one. I could just say “Spielberg” and leave it at that, but I could also add “Roald Dahl.” Now I’ll leave it at that. Age of Ultron may have been a disappointment, but the Russo Brothers (Winter Soldier) are back to shepherd Marvel’s prime IP to the end of “Phase 3,” or whatever they’re calling the piece of saga between this and 2018/19’s Infinity War. The third Cap adventure will feature enough heroes to practically be an Avengers film, with even a rumored cameo from Spider-Man tossed in. But if there’s one thing to remember as the drama unfolds, it’s that the Captain is always right. Sorry, Stark. How do you follow up Whiplash, if you’re writer-director Damien Chazelle? With a musical, of course. Ryan Gosling plays a jazz pianist (naturally) who falls for an actress played by Emma Stone. Singing and dancing ensues. That’s all there is to know right now. But as Chazelle’s last film is in my top two favorites of the entire decade, I’m happy to wait. I prefer the Coen Brothers in screwball mode, and Hail, Caesar! looks to pitch that up to eleven. George Clooney (never better than when playing a Coen Idiot) heads a stacked cast as a kidnapped Hollywood actor, who Josh Brolin’s “fixer” has to track down. Also features Scarlett Johansson, Channing Tatum, Ralph Fiennes, and Tilda Swinton. Mostly, it looks wildly fun. Martin Scorsese’s been trying to make this film for two decades, and it looks like 2016 will finally be the year we get to see it. 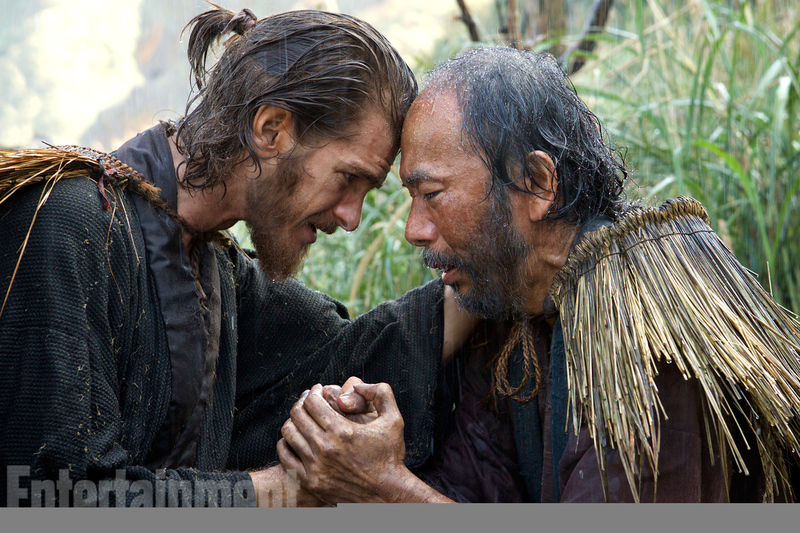 Based on Shûsaku Endô’s powerful novel, it centers on a pair of pair of Jesuit priests (Andrew Garfield and Adam Driver) who encounter persecution in 17th-Century Japan as they try to locate their mentor (Liam Neeson). If anyone can do justice to this story of faith, doubt, and inhuman suffering, it’s Scorsese. That it’s the only real bet at the moment for 2017 Oscar Season goes without saying. I didn’t know how badly I wanted to return to the world of Harry Potter until images and clips started coming for Fantastic Beasts, the first in a planned brand-new trilogy written by J.K. Rowling herself. Eddie Redmayne seems perfectly cast as “magizoologist” Newt Scamander, and the period New York setting should provide a fun new window into the world of wizards, witches, and muggles. David Yates, who directed the final four Harry Potter films, also returns. If the world-devouring success of The Force Awakens taught us anything, it’s that the galaxy far, far away is in very good hands. 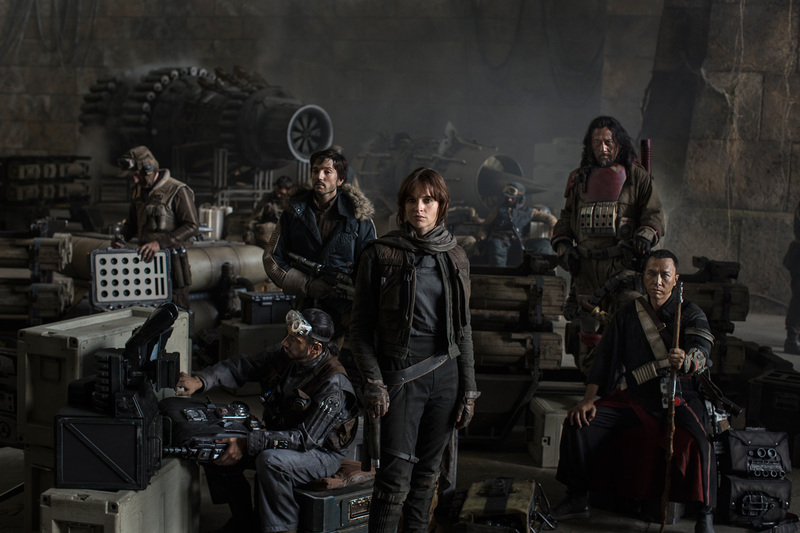 Disney will alternate the new trilogy installments with “stand-alone” adventures, beginning with Rogue One. Director Gareth Edwards (Godzilla) promises an action-packed heist film, set in the weeks before A New Hope, when a team (consisting of Felicity Jones, Mads Mikkelsen, and — nerdy gasp! — Alan Tudyk) steals the original Death Star plans that set this whole saga in motion. Star Wars is a massive sandbox, and any director would love to play in it. Edwards is just lucky enough to be the first. 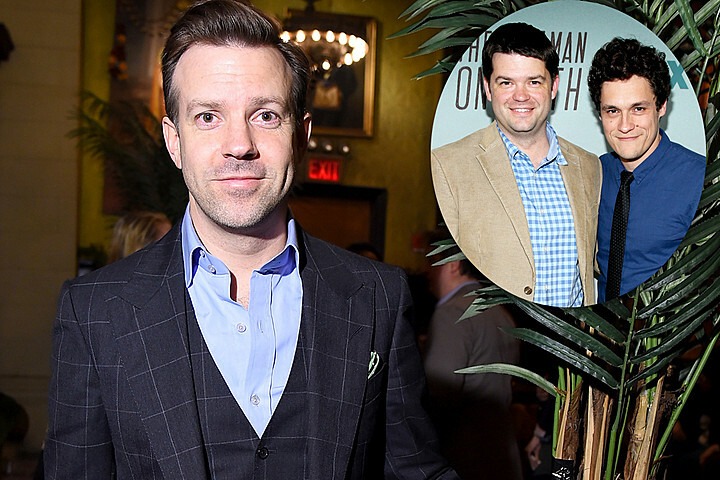 It’s an animated-live action hybrid from the prodigious imaginations of Phil Lord and Chris Miller (The LEGO Movie, Last Man on Earth), starring Jason Sudeikis as a legendary warrior returning to mundane family life for the first time in a decade. (He’s an animated character; his wife, played by Cheryl Hines, is not.) It’s a little confusing, to be sure, but Fox has already given it a full-season order, so I’m really curious to see what Lord and Miller have cooked up this time. In this age of Peak TV, even auteurs like Baz Luhrmann can get their shot at running an original series. Sometime this year Netflix will bring us The Get Down, a musical drama set in 1970s New York. There will be dancing, and rapping, and spray paint. But will it be good? It’s a good year for the 30 Rock/Kimmy Schmidt vets, plus the rest of NBC’s former comedy arsenal (Parks/Brooklyn Nine-Nine showrunner Mike Schur had another series picked up, too). While we don’t have a title yet, we do know this particular series — written by Tracey Wigfield — centers on a mother-daughter relationship at a cable news network. I’m a sucker for TV about TV, so sign me up for this. Bobby Cannavale stars in this new drama from Terence Winter and Martin Scorcese, and if you’re thinking “that sounds a lot like Boardwalk Empire,” you’d be right. HBO is hoping for more critical and cultural traction with Vinyl, which is set in — say it with me! — 1970s New York. Oh, and it’s got Ray Romano and Olivia Wilde. I don’t have Hulu, so I have no clue if I’ll actually be able to watch this, but I loved Stephen King’s timey-wimey novel and I’m hoping for the best. Even if stars James Franco, who plays Jake, a man who finds himself sent back to prevent the assassination of JFK…legit craziness follows, if it doesn’t get completely neutered like CBS’s Under the Dome adaptation. Let me know, will you? This is probably way too low, but I have another sad confession to made: I’ve never seen The X-Files. I know, I know. But I respect the brand enough to include it here, because people are counting on it to be great. For their sake, I hope it is. 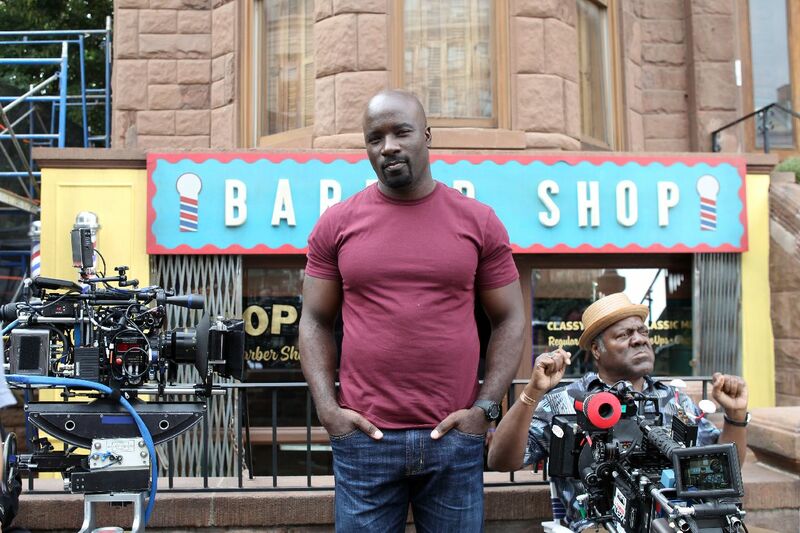 We don’t know when we’re getting another Jessica Jones season, but sometime next fall Netflix will drop Luke Cage, the third of four planned Marvel series that will culminate with The Defenders. If you’ve seen Cage in action, you know why you should be excited. If you haven’t, I can’t help you. Jonathan Nolan (with JJ Abrams producing) brings us this hotly-anticipated sci-fi series based on the 1973 cult film. At a high-tech theme park, androids run amok when the central computer breaks down — think Jurassic Park with cowboy pleasure bots. Ed Harris, Anthony Hopkins, Thandie Newton, and James Marsden lead the cast. Will HBO pair it with Thrones, or save it for summer? Look, I’m a man of simple tastes. One of them is certainly British Spy Dramas. 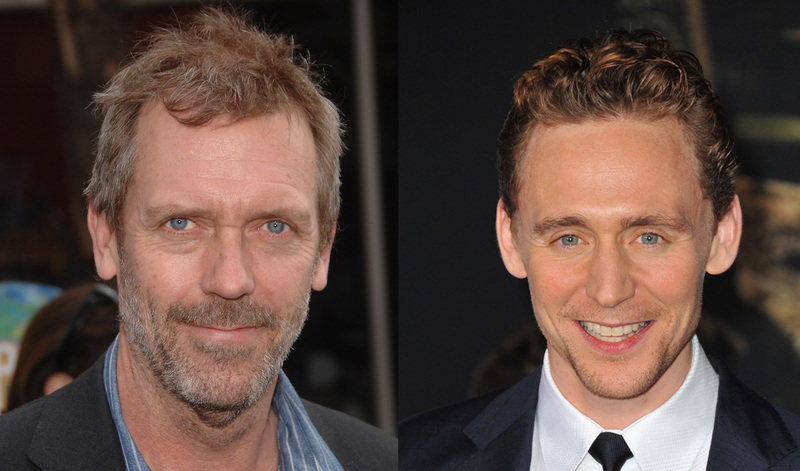 And when I read while putting this list together that AMC and BBC were co-producing a modern adaptation of a John le Carré novel starring Tom Hiddleston, Hugh Laurie, and Olivia Coleman, this rocketed up my list faster than I could draw breath. I don’t need to know anything else about it. I know! A cotton-candy CW series at the top of the list! But if you’ve been watching The Flash (or Arrow), you get it. Arthur Darvill (Doctor Who) recruits TV’s version of Guardians of the Galaxy to travel through time and defeat evil; the incomparably delightful Wentworth Miller is here as Captain Cold (along with his hothead brother in Prison Break-ing, Dominic Purcell), Brandon Routh does stuff, Victor Garber does stuff, there’s a Hawkman AND a Hawkgirl, and the whole thing looks effortlessly joyful. Both existing CW series have spent months laying the groundwork for this — time to see it pay off. As always, there so much I could have included — new films from Richard Linklater (Everybody Wants Some), Oliver Stone (Snowden), Clint Eastwood (Sully), Robert Zemeckis (a WWII spy romance starring Brad Pitt & Marion Cotillard), Denis Villeneuve (Story of Your Life), and Jeff Nichols (Midnight Special); there’s a new Magnificent Seven movie starring Chris Pratt, an Assassin’s Creed movie starring Michael Fassbender, and an adaptation of The Lost City of Z. I expect that at least some of the films and shows on this list will disappoint, and things I’ve never heard of will be wonderful surprises. And that’s all good. Have a happy 2016, everyone. Now THAT’S a list! Excellent stuff! Although, you did forget one thing – the most anticipated drama of the year. It will be a glorious, magnificent thing to watch, that everyone will look back on and say, “THAT is the kind of action-packed heroics I look forward to in entertainment.” What is it, you ask? (That was for you. Of course I’m Mavs all the way). The NBA playoffs are my favorite reality show, ’tis true.